So many choices, so little time. We help narrow down the must-have books for you to get your ::grabbyhands:: this week. 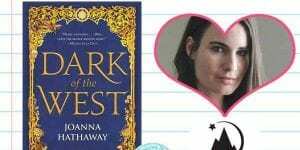 Here are our top 3 reasons you’ve got to read Dark of the West by Joanna Hathaway today.